2017 In A Sentence: Though still 3-2 at home, a rough 2017 season that didn’t start until mid-September (thanks to hurricanes) saw the Bulldogs go 0-5 outside of Dawson Stadium to suffer a 3-7 campaign. Biggest Shoes to Fill: Redshirt senior LB Darius Leonard was everything to the Bulldog defense last season, leading the team in tackles (114), tackles for loss (12) and sacks (8 1/2). Key Player: QB Dewann Ford, Jr. battled through some inconsistency but still led the Bulldog offense for 1,772 yards passing and 8 touchdowns. 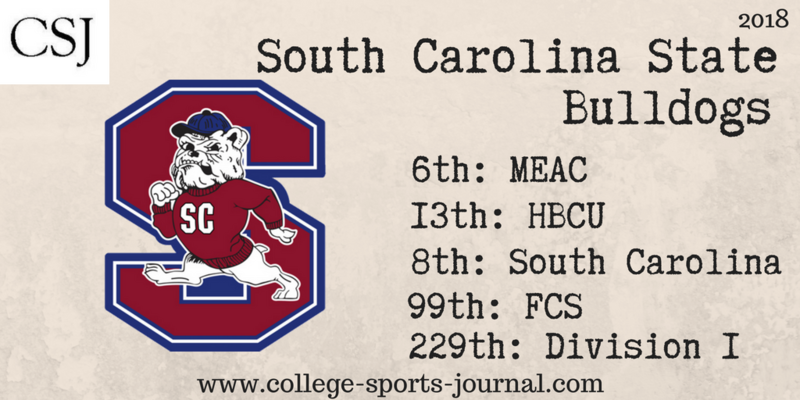 Ford needs to clean up his game in order for the Bulldogs to get back to the top of the MEAC. Fearless Prediction: Some tools are there to make a run at the MEAC championship, but they’ll need to win some road games to do it, and their back-to-back games against Georgia Southern and UCF to start the year could be brutal tests. Getting through that gauntlet with a minimum of injuries will be critical.